(1)Steel frame case sealed by plywoods with each end capped; (2)Solid fumigated wooden box with each end of capped. Ex-work with 1 month after order. Tube OD : 12.7 Min. Fin Pitch : 12FPI min. Manufacturing process: The fin strip (normally aluminum and copper) is folded into an L SHAPE and wound onto the base tube surface under tension. The feet of the fins are joined together and cover the finned surface. Both bare ends shall be Zinc or Aluminum metalized applied by an electro spray arc system coating. 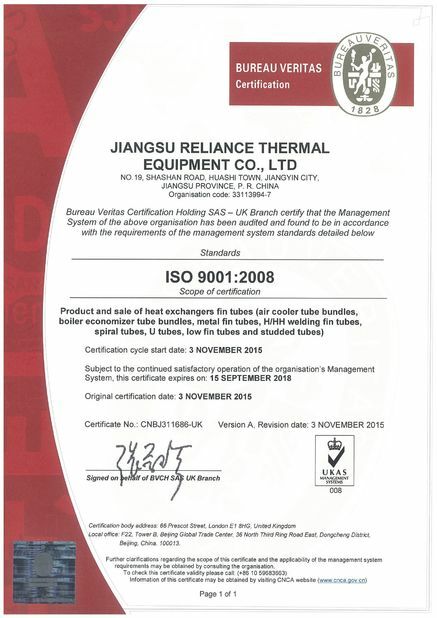 API Standard 661(Air-Cooled Heat Exchangers for General Refinery Service) or the delivery conditions (TDC). Tube Support Box, Clamp or Spacer Box (Material: Aluminum, Zinc and Stainless Steel). 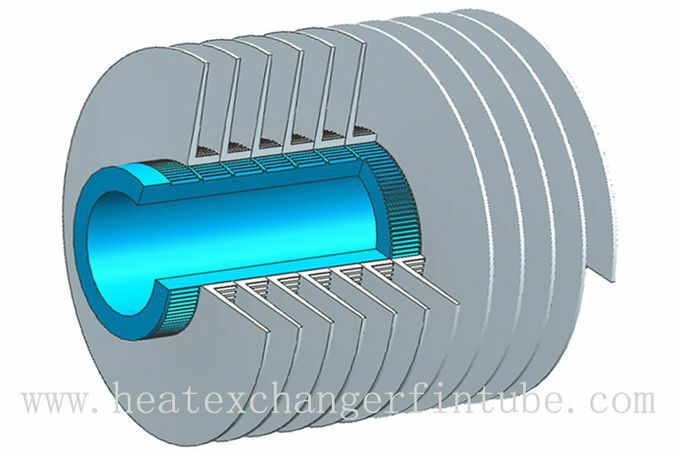 Tube ends are square cut, free burrs, internally dried and air blown clean, externally coated with varnish at both ends of KL Type Tension Wound Finned Tube. The desiccants are put into each package for continental transportation as well. 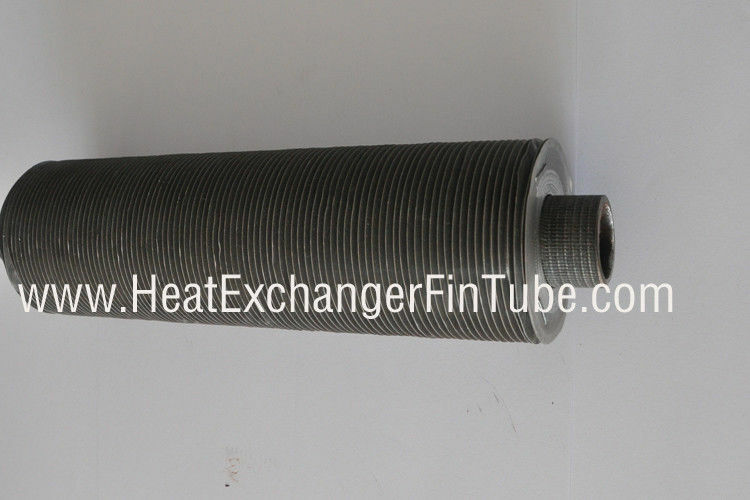 KL Type Tension Wound Tube is combined with two different materials. We have more than 10,000 square meters workshop, including 7 finning machines, daily production capacity up to 5,000 meters. 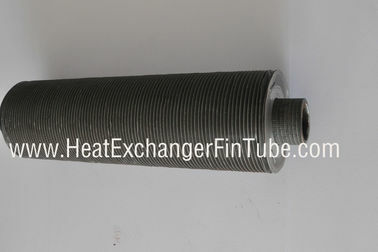 This method of manufacturing L tension type enables us to place the finning on a very thin-walled tube with is particularly desirable when using high value alloys (titanium, stainless, copper, nickel).The tube can withstand a temperature of up to 150°C without the risk of atmospheric corrosion or thermal stress. 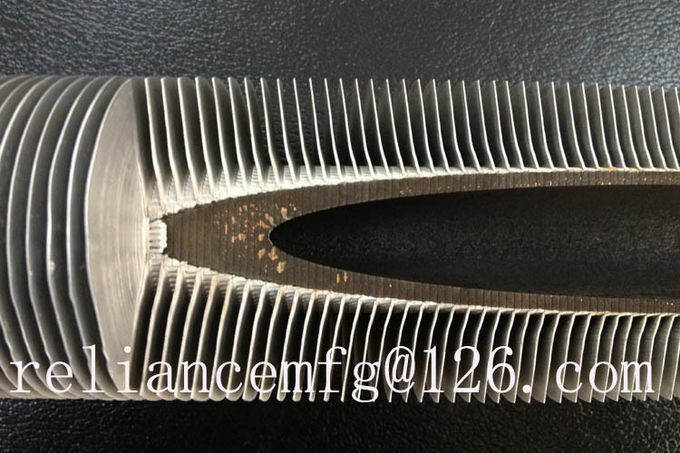 KL TYPE fin tubes provide contact area between the fin strip and the tubes surface and protect the tube wall from atmosphere corrosion. This KL TYPE design is much economical than KL, even G-embedded type.